Another glorious day here in New England! Another day for outdoor fun! Yesterday I was joined by a good friend, Hema, a fellow BMQG member, and her little boy, Kavin, who had almost as much fun as we did. I think I’ve started another obsession for her, so now we’ll both be obsessed with sun printing. Mostly, we used Solar Fast. And mostly Kaven played with cars and trains. Kaven helps Bill put new batteries in Thomas the Train. 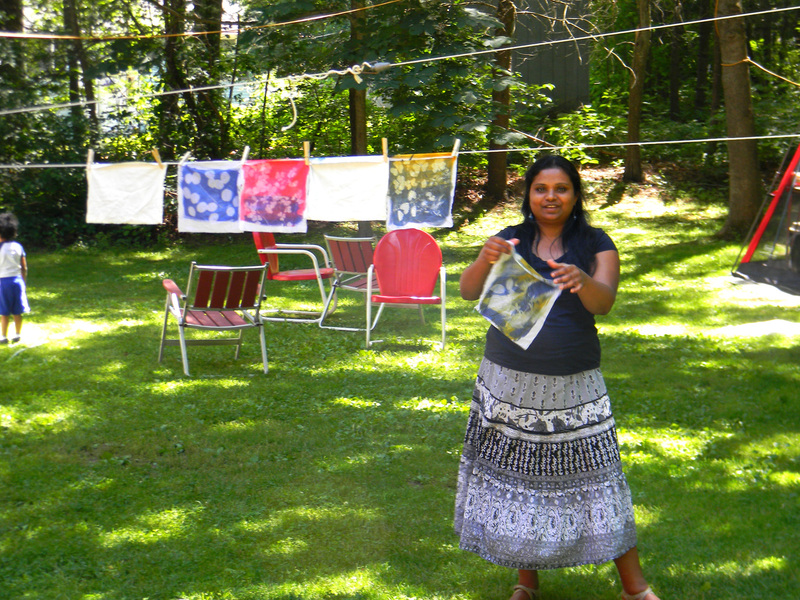 Hema hanging up our prints to dry. These are my prints, although we don’t really know who did which of the grass prints (the first one). 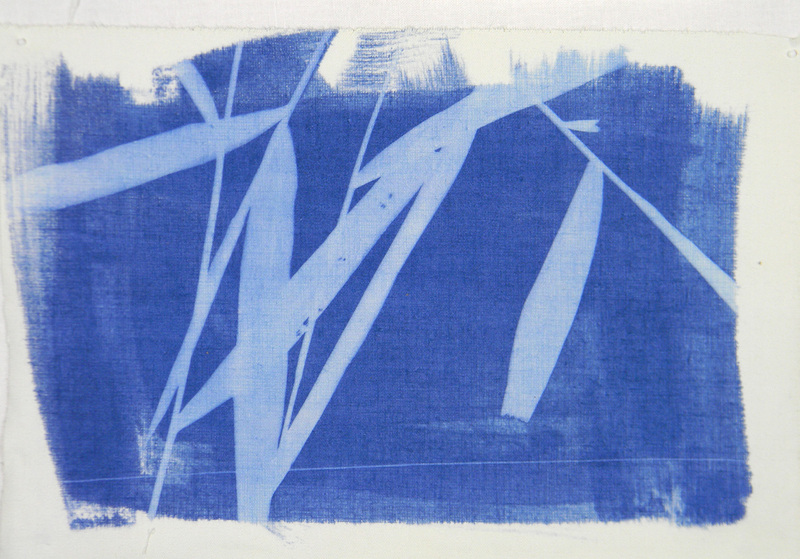 Check out Hema’s blog [ http://www.malinisquilts.com/ ] to see her prints. I don’t know the name of these weeds in my yard. Some raspberry leaves and another unknown plant. This was just awesome Janis! me and Kavin had so much fun. I love how the Shibori turned out. Can’t wait to see what you make with these beautiful sun prints. I am still looking for inspiration to turn them into mini quilts :).